I personally HATE midtown. So many stressed out people hurrying somewhere. So many taxis screeching, ambulances with their sirens blaring, buses splashing pedestrians, suits cutting each other off walking and talking on their cell phones. Yuck. It’s just basically all of the things I hate about NYC (which I generally love) lumped together in one hectic 20 block radius. Radiance Tea House is a little bit of peace and quiet amidst the crazy fast paced surroundings and it was truly a lovely place to meet a dear friend for lunch to catch up. I found it on yelp.com and am thankful to the great reviews that led me to pick it as our meeting place. It is beautifully decorated and has a really nice gift shop inside. The high-backed wooden chairs are surprisingly comfortable and had an antique, handmade look to them. Very appealing and perfectly coordinated with the rest of the decor. The service was polite, attentive and friendly. The menu was healthy, diverse and very reasonably priced, although the teas were astronomically priced. 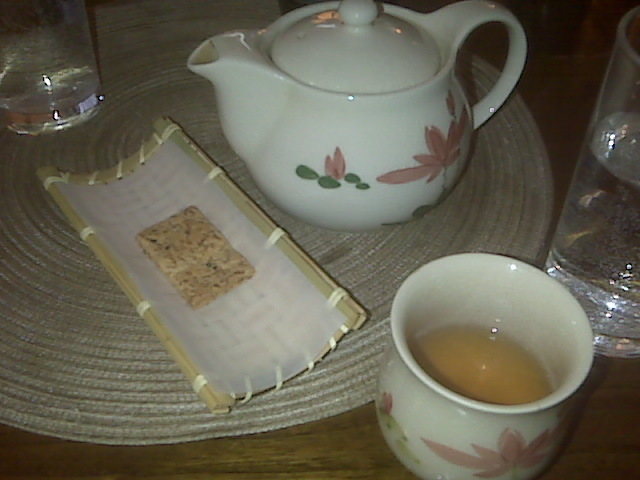 I had a small pot of apricot tea for $7.50, and would probably not do that again even though it was excellent tea. I understand that high quality tea really does cost a lot, but I am perfectly happy with a cheap bag of Yogi tea instead. 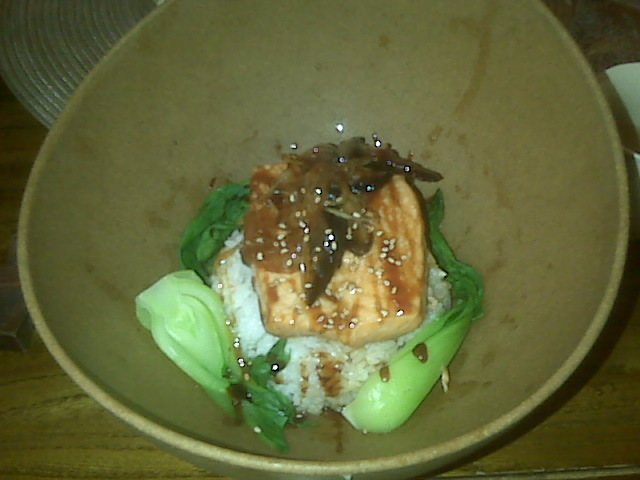 For lunch I had salmon, baby bok choy, rice and edamame on the side. It was absolutely delicious. Light, healthy, cooked perfectly, flavored exquisitely. I would absolutely return to this little haven in midtown. Of course, that is only if I have to be in that dreadful part of the city again for some reason.